A quirky video highlighting the role of education as a means of avoiding homelessness has been criticised on social media because it features An Taoiseach Enda Kenny. With a thoughtful expression, Enda Kenny tries to work out if Angela Merkel is an anagram of “Jelly Makrel” finally answering “No”. Focus Ireland is using the video to highlight its own programme to help vulnerable children stay in school longer, for which has received €100,000 from Aviva. However, on the charity’s Facebook page, members of the public are critical of the Taoiseach appearing on the video. 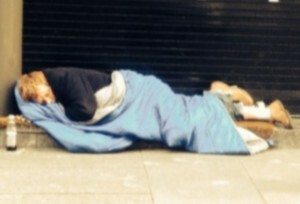 “I tell you what Enda Kenny has done for the homeless…NOTHING. I tell you what Enda Kenny has done for education…Cuts to back to school allowances for low income families, increased college registration fees and cut student grants and much more,” writes Carole. “This is a cynical PR stunt on his behalf. To have him in that video grinning like a gombeen considering impacts of his policies is nauseating,” says Jamie. Social media also contain messages supporting the presence of the Taoiseach in the video, but the majority are critical. Meanwhile, on Tuesday, the charity launched its Shine a Light Night in Dublin. This is the charity’s flagship corporate event in which business leaders give up one night (Friday 17 October) to sleep out in Dublin’s Iveagh Gardens and Cork’s historic City Gaol. Since its inception in 2012, more than 120 business leaders have slept out and raised over €675,000 to support Focus Ireland’s work. The event also picked up the ‘Best Fundraising Event’ award at the 2013 National Fundraising Awards. Business leaders wishing to take part in this year’s event are asked to help raise or donate €5,000 towards the work of the homeless charity. Past participants include business leaders from Aviva, Deloitte, Paypal, Bord Gais, Glanbia, Google, The Irish Times, KBC, BOI and Toyota. According to Focus Ireland, in Dublin alone, one family becomes homeless each day. It reported a sharp rise of 25% in the number of people its prevention and support services helped last year. Currently it is providing services to around 5,000 homeless people and working with many more people to prevent them from losing their homes.